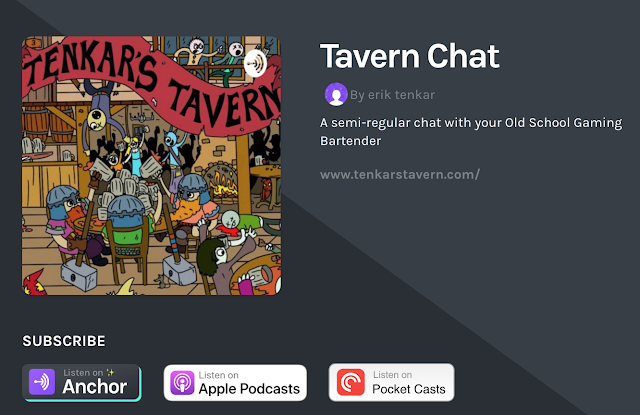 Tenkar's Tavern: Tavern Chat Podcast - Episode #8 - Squirrel! Huh? Eight Days a weeeeekkkk! Well, maybe not eight days a week, but eight episodes in eight days. Woot! On today's episode of The Tavern Chat Podcast: James Spahn has a new podcast, an update on the GMF and stock art goodness. Tavern Chat is averaging over 60 plays per episode. Thanks to everyone that has taken time out of their busy day to give it a listen. Yep, we snuck some affiliate links in up above. Keep the lights bright and the taps cold by shopping via The Tavern's affiliate links.